With the release of our free and pro Bootstrap3 mobile 1st responsive Blogger store themes/templates with shopping cart, we have received a lot of enquiries to add a custom contact form. 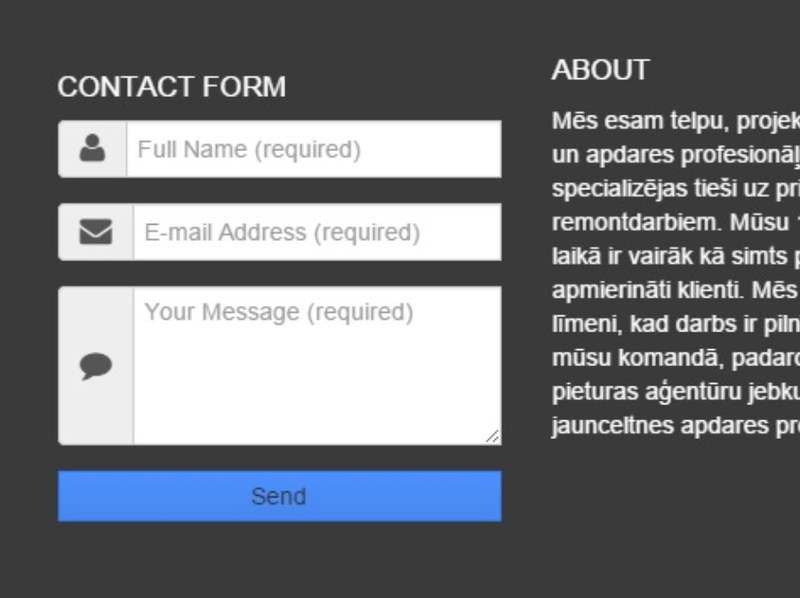 Good news that Blogger had already released a "Contact Form" widget, which blog owners can easily add via their Dashboard > Layout > Add Widget > select Contact Form widget. The problem here (when including default Blogger Contact Form widget) is that the styling does not use Bootstrap3 pre-defined classes, so upon first widget install, the form will look somewhat awkward. This post will show you how to easily customise the default Blogger Contact Form styling using Bootstrap3 classes. From your Blogger dashboard > go to Layout > click at any "Add a Widget" link > click the "More Widget" link > find the "Contact Form" widget > then name the widget's title > click "Save". Now you can drag & drop the Contact Form widget at any area of your Blogger theme/template, preferably at sidebar or footer section. Click the "Save Arrangements" button and view your changes. Note: If you are using our Blogger store/shop theme or template here you can skip this section because it has already pre-installed & comes with the theme by default. The above codes also include Font Awesome, a beautiful optimized icon-set stylesheet that works with the Bootstrap3 framework. Now copy below codes to REPLACE the default Blogger Contact Form widget using the new mark-up using Bootstrap3 form inputs styling classes. We have simplified & optimised the new Blogger Contact Form widget here which strips off most of the default styling pre-included with Blogger & also added screen reader classes for additional semantic mark-ups . You can edit the contact form field placeholder text at the highlighted ORANGE area. Now click "Save Template" and view your current theme changes, You should have a new & awesome Blogger Contact Form using Bootstrap3 responsive mobile 1st classes with icons by Font Awesome. Have a try! It looks awesome & your users can easily contact you right from your Blogger store (or blog) for FREE, without using any external services. Test the customised Blogger contact form here at a working demo page http://blogrcart-closet.blogspot.com ~ a responsive blogspot store/shop theme with shopping cart functionalities.